2" Combo Check Valve with FKM O-Ring | U.S. Plastic Corp.
Cepex® PVC True Union Ball Check Valves with Foot Valve Screens with either EPDM or FKM O-Rings. 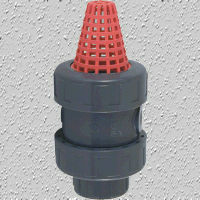 1/2" - 2" rated @ 240 psi and supplied with Socket/Threaded Combo End Connectors. 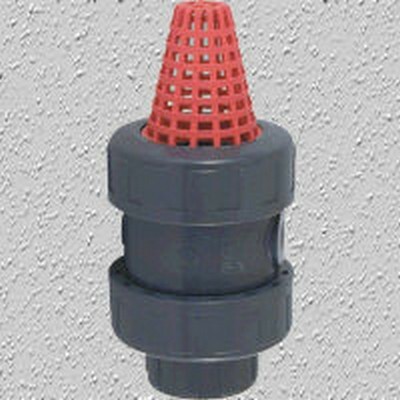 2-1/2" - 4" rated @ 150 psi and supplied with either Socket or Threaded End Connectors. Minimum return pressure: 3 psi. Foot Valve Screen End Connectors included. Easily rebuilt. All plastic non-corrosive construction.